cellar, serve and enjoy wine. MANY books about wine have come our way over the years, their publishers all assuring us that each is the absolute ultimate guide to understanding wine. 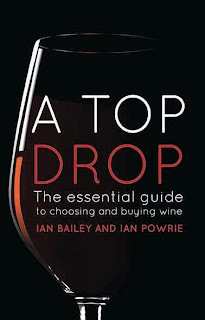 But amongst the best we’ve seen yet is the just-released A Top Drop – and not only because of the huge field it covers, but because it is written in an easy to understand style to help everyone from the novice wine enthusiast, to the more-seasoned buyer, to get the most enjoyment and value out of buying, cellaring and sharing wine. And they talk about temperatures at which different varietals should be served for best flavour enjoyment – including some reds that can come out of the fridge – and to assist the very novices and those who are not regular wine imbibers, a section recommends a selection of different brands of major varieties across different price brackets. 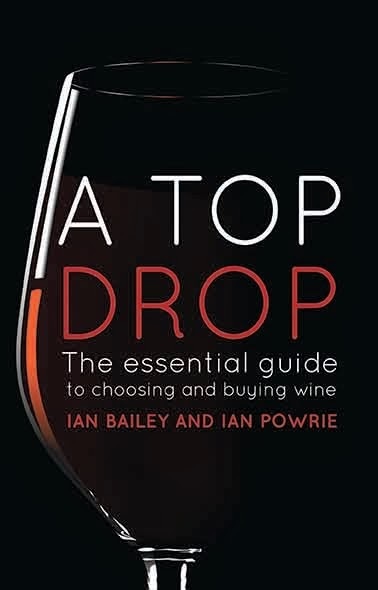 Published by New Holland Publishing, A Top Drop is just $19.95 and an excellent thought for Christmas for family or friends keen to broaden their wine knowledge. lamb shanks or osso bucco. NEED A FOOD/DRINK IDEA? Check out http://www.vintnews.com We’re also on Australian Good Food Guide http://www.agfg.com.au in main blog.